During recent years, Denmark has adopted a number of reforms aiming to improve the framework conditions for operating a business in Denmark, including the reintroduction of favourable taxation of employee share programmes and a reduction of the corporate income tax rate. The current rate is 22 per cent. the possibility of awarding employees' shares, options, etc., with a favourable tax treatment. On the other hand, Denmark has implemented a wide variety of specific anti-avoidance rules (SAAR) aimed at, inter alia, hybrid entities and instruments as well as limitations for interest deductions. Further, Denmark has introduced general anti-avoidance regulation (GAAR). The anti-avoidance regulation makes Denmark unattractive in terms of tax-planning techniques involving excess debt push-down, use of hybrid investment vehicles and arrangements that are not put into place for valid commercial reasons that reflect economic reality. Common entities with limited liability are the private limited company (ApS) and the public limited company (A/S). Other entities include entrepreneur companies (IVS), associations, cooperative societies and commercial foundations. Common entities with unlimited liability are the general partnership (I/S) where the partners are jointly and severally liable, the limited partnership with limited partners and at least one general partner with unlimited liability (K/S), and the limited partnership company (P/S). Generally, entities with limited liability are subject to corporate taxation, whereas entities with unlimited liability are transparent for Danish tax purposes (i.e., only the partners are subject to tax). Due to the limited liability and their widespread use, businesses are generally set up as an ApS or an A/S. In general, companies are only subject to a few formal requirements, such as registration with the Danish Business Authority, preparation of annual accounts and conducting of annual general meetings. The key difference between public limited companies and private limited companies is the required minimum share capital (ApS: 50,000 Danish kroner, A/S: 400,000 Danish kroner). Further, public limited companies are required to operate a two-tier management, while private limited companies are only required to have one governing body. Since 1 January 2014 it has been possible to set up an 'entrepreneur company'. Entrepreneur companies are required to have a minimum share capital of just 1 Danish krone, but are obliged to transfer at least 25 per cent of their annual net profits to a non-distributable reserve until the share capital reaches 50,000 Danish kroner. Moreover, the European Societas Europaea company form is treated as a corporation by law. The most common non-corporate forms are I/S with personal liability of all the partners, and K/S or P/S with limited partners and at least one general partner with unlimited liability (however, general partners are often organised as limited companies). Except for a requirement to register with the Danish Business Authority, such businesses are not subject to formal requirements upon formation, and no capital requirements apply. Due to the tax transparency and the limited liability of the limited partners, a limited partnership is generally the preferred investment vehicle for private equity investments, etc. Companies resident in Denmark for tax purposes are as a general rule taxed on their worldwide income, however excluding income from foreign permanent establishments and foreign real estate. Companies resident outside Denmark for tax purposes are taxed on income derived by a permanent establishment (PE) in Denmark as well as income from certain sources in Denmark. Corporation tax is imposed on company profits consisting of business income, passive income and taxable capital gains. Income is taxed on an accrual basis and is, as a general rule, considered accrued when the taxpayer has a legal right to the income under the relevant agreement or law. The taxable profits are determined on the basis of figures reported in the company's annual accounts, with adjustments according to the tax regulations, including deductions and depreciations. The basic principle is that the taxable income comprises gross income less the expenses of acquiring, securing and maintaining that income, whereas expenses necessary to establish or expand income sources are not deductible. Interest paid on loans and royalties qualify for deduction with certain limitations. Dividends are not tax-deductible. For the purpose of encouraging investment, depreciation is allowed at a rate exceeding the economic decrease in value of the asset in question. The rate and method of depreciation for tax purposes depends on the class of the asset. Most operating equipment used for business purposes is depreciated as a single asset pool up to 25 per cent a year. The taxpayer is free to apply lower rates between zero and 25 per cent, and may change the rate every year. For operating equipment with a long economic life, such as certain vessels, aircraft, drilling platforms and offshore equipment, the depreciation rate is, however, reduced to 15 per cent (from 2016 onwards). Further, depreciation is only allowed at a rate of up to 7 per cent for certain infrastructure facilities. These assets are stated on separate balances. Assets with an estimated lifetime not exceeding three years and assets with a value below 13,500 (2018) may be fully written off in the year of acquisition. With respect to commercial equipment and some vessels, advance depreciation is permitted provided that a binding contract has been entered into; the contract is for delivery or completion of assets within four years of the award of the contract; and the contract price exceeds 1,539,100 Danish kroner (2018). Buildings and installations are generally depreciated at a rate of up to 4 per cent, and goodwill and other intangibles may be depreciated on a straight line over seven years. Recaptured depreciations or losses are taxed as income in the year of sale. Corporate taxation applies to both income and taxable capital gains. Tax losses may be carried forward indefinitely. Tax loss carry-forwards from previous income years may only be fully deducted in the taxable income up to a base amount of 8,205,000 Danish kroner (2018). Further tax loss carry-forwards can only reduce the remaining taxable income up to 60 per cent. Tax loss carry-forwards in excess hereof can be applied in subsequent income years. The rules on tax losses carried forward apply at a consolidated level for companies subject to joint taxation in Denmark. Companies subject to tax consolidation share the threshold of 8,205,000 Danish kroner after setting off against income losses internally within the tax group. Danish companies might consider whether voluntary depreciation and amortisation for tax purposes should be made if this leads to higher carry-forward losses that the company is not in a position to utilise. In certain situations, these rules may also lead to a strain on liquidity for companies with large carry-forward losses. To counter such strain on liquidity, companies can consider trying to convert tax losses into depreciable amounts, as the rules do not set up any restrictions on tax depreciations. One way to convert tax losses would be to make an intra-group transfer of assets leading to a higher depreciable amount in the purchasing entity. Restrictions apply in the case of direct or indirect changes to more than 50 per cent of the share capital or voting rights during an income year. In addition, a subsidiary's tax loss carry-forward may be restricted if a change of ownership takes place in the parent company. The restrictions do not apply to listed companies, and special rules exist for financial companies. Carry-back of tax losses is not permitted under Danish tax law. The corporate income tax rate in Denmark is 22 per cent. Complaints against decisions made by the tax authorities may be filed with the Danish Tax Appeals Agency, which will either refer the cases to a regional appeals board or the National Tax Tribunal, which decides on leading cases. Decisions by an appeals board or the National Tax Tribunal may be brought before the courts of law. Corporations pay taxes on account twice a year, and must file a tax return with the tax authorities no later than six months following the end of the relevant income year. The actual taxable income for the year is calculated on this basis, and results in either a tax refund or payment of remaining tax. The statute of limitations for an assessment is three years and four months after the end of the income year (five years and four months for transfer pricing adjustments). In addition, an extraordinary assessment may be made in certain specific situations, including in the event of a taxpayer's gross negligence. There are two types of consolidated tax grouping in Denmark: mandatory joint taxation, which applies to all Danish consolidated companies and Danish PEs under common control; and voluntary international joint taxation, under which all foreign companies and foreign PEs (downstream as well as upstream) may opt for joint taxation with Danish entities. An election of international joint taxation is binding for 10 years. A parent company and its subsidiaries constitute a group. Further, a company, foundation, trust or association will qualify as a parent company if it directly or indirectly holds the majority of voting rights in another company (the subsidiary) or if it controls the subsidiary in any other way. Each entity encompassed by the joint taxation is, as a general rule, treated as a separate entity, and must calculate its taxable income in the same manner as any other entity. The jointly taxed income is made up as the sum of the taxable income for each company (i.e., the incomes are pooled). The entire income of a subsidiary will be included even if the subsidiary is not solely owned by the parent company. Only income relating to the period of consolidation will be included. The ultimate parent company and wholly owned entities within the group are jointly and severally liable for the payment of income taxes and withholding taxes on dividends, interest and royalties from other companies within the tax group. Other entities within the group are liable on a subordinated basis. The most important indirect taxes are VAT and payroll tax. The Danish VAT rate is 25 per cent. Other indirect taxes are energy duties, real estate taxes and stamp duties. Employees must pay a labour market contribution of 8 per cent of their salary. A company is considered to be tax-resident in Denmark if it is incorporated and registered in Denmark. A non-domestic company is considered to be tax-resident in Denmark if it has its place of effective management in Denmark. Under Danish law, the 'place of effective management' first and foremost refers to the day-to-day management of the company. Accordingly, a non-domestic company will be regarded as tax-resident in Denmark if the day-to-day management is carried out from Denmark. Non-resident companies can be subject to limited tax liability either through a PE in Denmark (usually a branch registered as such with the Danish Business Authority), Danish real estate or through withholding taxes on income from certain Danish sources. Non-resident companies that carry on business or participate in business in Denmark through a PE are subject to tax on all income attributable to the PE. In general, the Danish tax treaties are based on the OECD Model Tax Convention. The tax authorities apply the OECD guidelines when determining whether a PE exists, including the agent rule; however, the guidelines will be interpreted in view of domestic law. portfolio shares: shares that do not qualify as subsidiary shares or group shares. Dividends on subsidiary shares and group shares are tax-exempt, whereas dividends on portfolio shares are subject to taxation. However, certain anti-avoidance rules may apply. Capital gains on subsidiary shares, group shares and unlisted portfolio shares are tax-exempt, whereas capital gains on listed portfolio shares are subject to taxation. Losses on subsidiary shares, group shares and listed portfolio shares are not tax-deductible, whereas losses on listed portfolio are tax-deductible. Tax-deduction of losses on listed portfolio shares are not source-limited, if the company uses the inventory principle. Consequently, losses are deductible in other income sources. However, if the company uses the realisation principle the tax-deduction will be source-limited. A loss can be carried forward to the following income years. Capital gains and dividends are taxed at the corporate income tax rate of 22 per cent. No IP regimes exist under Danish tax law. The Danish tonnage tax regime complies with the EU rules on state aid in the maritime sector. State aid is not available in other sectors. Shipping companies may elect to operate under the very attractive tonnage tax regime. Under the regime, tax is levied on the basis of the gross tonnage of the vessels owned or chartered by the shipping company, and not on the basis of the profits generated by these activities. The effective tax rate is close to zero, and the regime also includes capital gains on the vessels (which are therefore de facto untaxed). The regime is optional and, if elected, replaces ordinary taxation. An election is binding for a period of 10 years and must comprise all vessels and assets to which the regime is applicable. The regime applies to vessels with a gross register tonnage of at least 20 tonnes, and which are owned or chartered by the shipping company. Special restrictions apply to shipping companies of which the total gross tonnage is more than four times the tonnage owned by the company itself, and to vessels owned by the shipping company and chartered out to a third party. Parts of vessels can be subject to the tonnage tax regime. The regime generally only applies if the shipping business on average over a tax year maintains or increases its EU or EEA-registered gross tonnage as calculated in accordance with the principles set out in the Danish Tonnage Tax Act. Furthermore, the vessels must be 'strategically and commercially managed out of Denmark'. As a starting point, Danish companies are obliged to withhold tax on outbound dividends, royalties and interest in intra-group loans. However, many exceptions apply as set out below, and in practice the main rule is that no tax is withheld at source, as Denmark often waives taxation on dividends, royalties and interest paid to a beneficial owner resident in another state that has a tax treaty with Denmark or is a Member State of the EU. Dividends paid from a Danish company to a non-resident recipient are subject to Danish withholding tax at a rate of 22 per cent. The rate is reduced to 15.4 per cent (or less) where the recipient holds less than 10 per cent of the Danish company and the tax authorities in the recipient's state of residence are obliged to exchange information with the Danish tax authorities under a bilateral tax treaty, international treaty or an administrative agreement. However, dividends on subsidiary and group shares (i.e., the shareholder owns at least 10 per cent) are fully exempt from withholding tax if Denmark is obliged to reduce or waive taxation on the dividends under the EU Parent–Subsidiary Directive or under a tax treaty with the recipient's state of residence. The exemption will not apply if the dividends stem from a foreign subsidiary and the Danish subsidiary is regarded as a conduit company (stepping-stone) and the dividends are paid to a parent company outside EU. Consequently, foreign companies may not be able to use Danish companies to achieve a more favourable tax position for dividend income from other foreign companies than the foreign company itself would be able to obtain by a direct ownership without routing the dividends through Denmark. To benefit from a tax treaty or the Parent–Subsidiary Directive, the recipient must be the beneficial owner of the dividend. the foreign company exercises joint control over the Danish company together with one or more other shareholders (e.g., by a shareholder agreement between the foreign company and such other shareholders). No withholding tax is levied if Denmark must waive or reduce withholding tax under the EU Interest and Royalty Directive or under an applicable tax treaty (no tax is levied even if the treaty grants Denmark a reduced right of taxation). Royalty payments from Danish sources to non-resident recipients are subject to Danish withholding tax at a rate of 22 per cent. However, royalty payments are exempt from withholding tax if Denmark is obliged to reduce or waive taxation under the EU Interest and Royalty Directive, (i.e., the EU companies involved have been associated for a continuous period of at least one year during which the royalty payments are made). Royalty payments are defined as payments received as consideration for the use of or for the right to use any patent, trademark, design or model, print, secret formula or process of manufacture, or as consideration for information on industrial, commercial or scientific knowledge. Denmark has concluded double taxation treaties with approximately 85 jurisdictions, including an important treaty with China that facilitates investments from China through Denmark into Europe and vice versa. Denmark continues to work on eliminating double taxation, and several new double taxation treaties are currently being negotiated. The treaties are generally based on the OECD Model Convention. In general, they provide a reduction in the withholding tax rate on outbound dividends, interest and royalty payments. Inbound dividends, interest and royalty payments are generally taxed as corporate income. Denmark grants credit for any paid foreign taxes. However, the credit is limited to the amount of Danish tax payable on the foreign net income calculated according to Danish principles. Danish entities are normally funded partially by way of equity capital from the investors and partially by indebtedness. Equity contributions are generally not a taxable event under Danish tax law. Interest payments on debt are generally tax-deductible. However, the deductibility of interest expenses may be limited under the following three rules: the 'thin capitalisation test' imposes a debt-to-equity ratio of 4:1; the 'asset test' limits the deduction to 2.9 per cent of the operating (non-financial) assets; and the 'EBIT test' limits the deduction to 80 per cent of the earnings before interest and taxes. has a foreign PE which, in turn, is the related entity. 'Control' means that more than 50 per cent of the shares or voting rights are, directly or indirectly, owned or controlled. If the Danish debtor has controlled debt, the controlled debt exceeds a minimum threshold of 10 million Danish kroner, the Danish debtor's debt-to-equity ratio exceeds 4:1 and the Danish debtor fails to demonstrate that a similar loan could have been obtained from an unrelated third party (arm's-length exemption), interest expenses and capital losses relating to debt in excess of the 4:1 ratio cannot be deducted (however, only for such part of the excess debt that would need to be qualified as equity for the 4:1 ratio to be complied with). Certain sectors, such as the financial services sector, may generally operate with higher debt-to-equity ratios, and such market practices can be used as a basis for claiming interest deductions beyond the 4:1 ratio. The general right for companies to deduct finance costs, including interest payments, is subject to several limitations, primarily to prevent foreign equity funds from reducing the tax base by disproportionate loan-taking in the company (debt push-down). The objective of the following two main limitations is to limit the tax deductions to the amount of debt that is reasonably required to finance the company. The limitations apply to all kinds of debt (i.e., debt to unrelated parties as well as debt to related parties). The rules apply to the extent that the company's net finance costs exceed a threshold of 21.3 million Danish kroner.5 For companies covered by the Danish joint taxation scheme, the threshold is calculated on a group basis. Under the asset test, net financial costs exceeding a cap calculated as the standard rate of return (2.9 per cent for 2018) multiplied by the tax base of the company's qualifying assets (i.e., on group basis) cannot be deducted. Shares held in foreign subsidiaries will be included in the asset loss. Net finance costs reduced according to the rules on thin capitalisation will not be included in the net finance costs when assessing a reduction according to the asset test. Under the EBIT test, net financial costs exceeding 80 per cent of the taxable EBIT cannot be deducted in the tax year, but are, unlike under the asset test, eligible for carry-forward to future years. Dividends may be distributed at any time provided that the company has distributable reserves. Dividend distributions are contingent upon the decision of the shareholders' meeting and approval by the board of directors, which is obliged to ensure that the company has sufficient unrestricted reserves at all times. Repayment of equity capital to investors requires a capital reduction or liquidation of the company. For Danish tax purposes, a capital reduction is considered to be a dividend distribution unless prior permission to consider the payments as capital gains is obtained from the tax authorities. Liquidation proceeds are generally treated in accordance with the Danish rules on capital gains of shares if the distributions take place in the income year in which the company is dissolved. As foreign shareholders are normally not subject to taxation on capital gains on shares, such shareholders should not be taxed upon liquidation of a Danish company. Liquidation proceeds distributed in the income year in which the company is dissolved will, however, be treated as dividends if the recipient owns at least 10 per cent and dividends would be subject to Danish withholding tax, or owns less than 10 per cent of the share capital, but is affiliated with the company being dissolved and is liable to Danish withholding tax on dividends (see Section VI.ii). A Danish business may be acquired as an asset transfer or as a transfer of shares. If the seller is not resident in Denmark for tax purposes, disposal of shares is not a taxable event in Denmark. Moreover, a valuation of the assets is not necessary. A special anti-avoidance rule applies in certain situations. Capital gains on transfers of shares are exempt from Danish taxation if the seller is a corporate shareholder holding subsidiary shares, group shares or unlisted portfolio shares (see Section V.i). Asset transfers are for tax purposes regarded as selling assets individually. Accordingly, gains and recaptured depreciations are taxable, and losses are deductible. Danish corporate law prohibits certain types of financial assistance, meaning that investors cannot finance an acquisition with the target company's capital unless such acquisition is financed with the target company's distributable reserves. Further, investors should be aware of the limitations on thin capitalisation and deduction of financing costs (see Section VII). Denmark allows for tax-exempt corporate reorganisations provided that certain conditions are met, and that tax evasion or tax avoidance are not the principal objectives of the reorganisation. Tax-exempt reorganisations may be carried through with or without prior permission. Prior permission requires the reorganisation to be justified by business reasons. This is not a requirement if the reorganisation is carried out without obtaining prior permission, but in such case a three-year holding requirement (as well as dividend limitations) applies. A tax-exempted merger between a foreign and a Danish company requires prior permission in certain cases. The merger is tax-exempted, but Danish exit tax will be imposed on assets not remaining under Danish taxation. A partial demerger (e.g., the demerged company continues to exist) made without prior permission is subject to certain restrictions: the transferred assets and liabilities must constitute a branch for Danish tax purposes, and the balance between assets and liabilities must be the same prior to and following the demerger. The date of the reorganisation must generally coincide with the date of the beginning of the financial year of the receiving company. In this sense, it is possible to give the reorganisation retroactive effect. It is not possible to relocate an incorporated company without liquidation. However, Denmark may be obliged to waive or reduce taxation under a double taxation treaty if the management becomes resident in another state. If a corporation ceases to be resident in Denmark for tax purposes, Danish exit taxation is imposed on taxable assets and gains. Denmark has rules allowing companies to opt for deferred exit tax payments on unrealised capital gains on assets transferred from one EU or EEA Member State to another. Assets remaining in Denmark may constitute a PE (see Section IV.ii), with the result that no Danish taxation will be imposed upon cessation of Danish residency. Denmark has taken significant steps towards preventing tax avoidance and tax planning by implementing anti-abuse rules. Generally, the anti-abuse clauses seek to deny the taxpayer the tax treaty benefits and the EU tax directive benefits by tackling arrangements, or series of arrangements, that have been put into place with one of their main purposes being the obtaining of a tax benefit, and that are not genuine, i.e., that are not put in place for valid commercial reasons that reflect economic reality having regard to all the relevant facts and circumstances. The most important Danish specific anti-avoidance provisions are the rules on reclassification of hybrid structures, controlled foreign corporations (CFCs) and transfer pricing regulations. Hybrid entities are generally considered non-transparent for Danish tax purposes. However, if a Danish limited liability company is considered to be tax transparent in the jurisdiction of its foreign shareholders, the company will also be tax transparent for Danish tax purposes. In other words, the classification of the Danish entity will be changed to secure identical tax treatment in the two jurisdictions under Danish law. If the Danish company is regarded as tax transparent, the company is not entitled to deduct interest payments, royalty payments, etc., paid to its foreign shareholders. The Danish activities will constitute a Danish PE of its shareholders, and all assets and liabilities of the company will be allocated to the PE irrespective of the normal principles for allocation of income to PEs. If a Danish transparent entity is treated as a non-transparent entity in the jurisdiction of the majority of its shareholders or owners, it will also be treated as non-transparent for Danish tax purposes. The same applies if the majority of the owners of such transparent entity are resident in a state that has not concluded an agreement on exchange of tax information with Denmark. The main consequence is that distributions made by the hybrid entity to its owners will generally be treated as dividend payments. Whether such payments are subject to Danish withholding tax depends on the owner's place of residence and whether the owner is eligible for a participation exemption (see Section VI.ii). Disposal of part of the entity will be treated as a sale of shares, which is generally tax-exempt when the shareholder is not a Danish resident for tax purposes. An exemption applies for 'venture funds', provided a number of specific requirements are fulfilled. Moreover, debt instruments that are considered as equity in the creditor's foreign state (hybrid instruments) are also treated as equity for Danish tax purposes, meaning that interest payments from Danish debtors are not tax-deductible in Denmark. In the event a dividend distribution would be subject to Danish withholding tax, any other forms of distribution, which are technically not dividends, may be taxed as if the distribution was a dividend distribution. at least 10 per cent of the subsidiary's assets are of a financial nature as described above. If these conditions are met, the entire income of the subsidiary will be included in the parent's taxable income, and the parent is granted credit for taxes paid by the subsidiary in its country of residence. the company exercises joint control over the other company in conjunction with one or more other shareholders (e.g., by a shareholders' agreement on voting rights and management). A company and its PE are also regarded as related companies. Related companies must prepare and file transfer pricing documentation showing how the companies have set the prices for inter-company transactions. If the prices agreed by the companies are different from what would have been negotiated in an arm's-length transaction between independent parties, the tax authorities are authorised to adjust the prices. Denmark generally follows the OECD transfer pricing guidelines. It is possible to obtain binding advance rulings from the tax authorities if uncertainty exists as to the possible tax implications of a planned or already undertaken transaction. Such ruling is binding on the tax authorities for a period of five years. Denmark has amended the rules on binding advanced rulings in relation to the valuation of assets when exiting Denmark. The amendment reduces the binding effect of such rulings to a maximum of six months. In general, a tax clearance is not required to acquire a local business. The following significant changes and developments in 2018 can be mentioned. Denmark has implemented Council Directive (EU) 2018/822 of 25 May 2018 on mandatory automatic exchange of information in the field of taxation in relation to reportable cross-border arrangements. The purpose of the mandatory reporting obligation is 'deterring aggressive tax-planning practice'. The reporting shall be handled as a bundle filing of all reportable arrangements in the period from the effective date 25 June 2018 to 1 July 2020. From 1 July 2020, the relevant taxpayer and the intermediaries (e.g., lawyers) have to file information that is within their knowledge on reportable cross-border arrangements with the competent authorities within 30 days. The Danish legislation must be in force no later than December 2019. The Danish parliament has adopted a bill on permission of the deduction of payroll expenses. The rule came into force on the 1 January 2018. This new deduction rule has retroactive effect from the income year 2008. Consequently, a company can request the Danish Tax Authority for a resumption if its tax assessment in order to benefit from the possibility of deduction of payroll expenses. the Administration and Services Agency of the Danish Ministry of Taxation. The Danish Tax Council has issued a ruling on whether an employee constituted a permanent establishment in Denmark. Despite the employee's inability to enter into agreements on behalf of the foreign enterprise, an employee of a foreign company would constitute a permanent establishment because the employee's activities were an integral part of the enterprise's business and could not be considered as preparatory or auxiliary in nature. The Danish parliament has proposed a bill on debureaucratisation of the special tax scheme as an incentive for foreign researchers. The bill proposes to make the scheme more convenient and thereby attract even more highly educated persons, which is the whole purpose of the special tax scheme. Beyond this, Denmark has implemented Council Directive (EU) 2016/1164 of 12 July 2016 and Council Directive (EU) 2017/952 of 29 May 2017 (collectively referred to as the Anti-Tax Avoidance Directive (ATAD)). The main purpose of ATAD is to prevent tax avoidance. ATAD consists of eight main areas, discussed below. 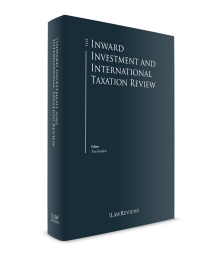 The applicable Danish rules on exit taxation, inter alia, correspond generally with the rules in the Directive. However, the bill proposes adjustments of the Danish rules on respite, inter alia, (1) that the respite system shall no longer include situations where assets and liabilities are transferred to Liechtenstein, implied that an agreement regarding mutual assistance on recovery of tax demands; (2) that companies with a PE in Denmark can receive respite on the exit taxation provided that the assets and liabilities are transferred to another PE within the EU, Norway or Iceland; (3) that the respite amount has to be amortised with one-fifth of the respite amount per year in the first five years following the transfer; and (4) that the rules regarding the due date have to be changed. According to the bill, the rules have effect on assets and liabilities transferred on 1 January 2020 or later. The bill proposes that the Directive's anti-abuse rule is implemented by replacing the similar provision in the Danish Tax Assessment Act. The new anti-abuse rule will apply to companies (e.g., public and private limited companies), funds, associations, and other non-taxable companies that participate in the arrangements. According to the bill, an arrangement or a series of arrangements is prohibited if they have been put into place for the main purpose of, or if one of the main purposes is, obtaining a tax advantage. The bill, inter alia, proposes (1) that a CFC unit is defined so widely that it includes all types of companies; (2) that subsidiaries are exempted provided that they are subject to an effective taxation which corresponds with the standards of the parent company; (3) that CFC income should be defined in a way that it ensures that income that gives cause for concern regarding tax avoidance is included; (4) that the CFC income is calculated according to the rules in the parent company; (5) that both the equity interest and the period of ownership should be taken into consideration when determining the share of the CFC company's income that has to be included with the parent company; and (6) that certain rules shall prevent the situation where the CFC taxation causes double taxation. Generally, the bill, which is in accordance with the underlying Directive, contains rules focused on handling situations where the different classifications of, for example, financial instruments in different countries leads to various forms of mismatch. According to the bill, such hybrid mismatches are met with various means, for example, the denial of deduction of payments, when the hybrid mismatch results in a deduction without inclusion. 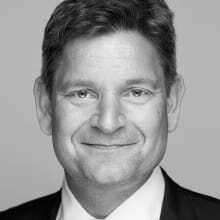 The Danish parliament proposes that Directive 2017/1852/EU on tax dispute resolution mechanisms in the European Union is made applicable in Denmark. By doing so, a set of rules regarding complaints over double taxation are introduced as well as a system to solve disputes related hereto. Generally, the system consists of three phases: (1) submission of the complaint; (2) mutual agreement procedure; and (3) the settlement of the dispute by arbitration. The bill proposes, in accordance with the Directive, that the voucher-concept is defined, hereunder when a voucher serves one or more purposes, the time of payment of the VAT and what the basis of the VAT is. The purpose of the bill is to implement the simplifications due to Directive 2017/2455/EU. The proposed amendments consist of the introduction of a common limit regarding intra-Community distance sales for electronic goods, amendment of the rules regarding invoicing and an adjustment of the scope of application for the non-EU-scheme. The proposed bill suggests that cost reimbursement should be granted in cases comprehended by the Danish law on tax dispute resolution mechanism in the European Union (see Section XI.v). 1 Jakob Skaadstrup Andersen is a partner at Gorrissen Federspiel. 2 Special requirements apply to, inter alia, financial businesses. 5 With effect from 1 January 2014, the threshold of 21.3 million Danish kroner was frozen. Accordingly, the automatic yearly adjustments are no longer applicable.